Today I released a new version of Eulumdat Tools. 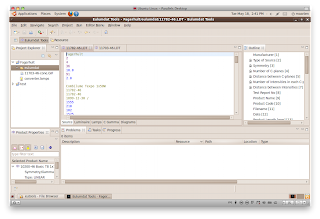 It is available as Eclipse plugin or standalone RCP application for Windows XP, Windows Vista/7.0, Mac OSX 10.5 and Mac OSX 10.6 64 bit. 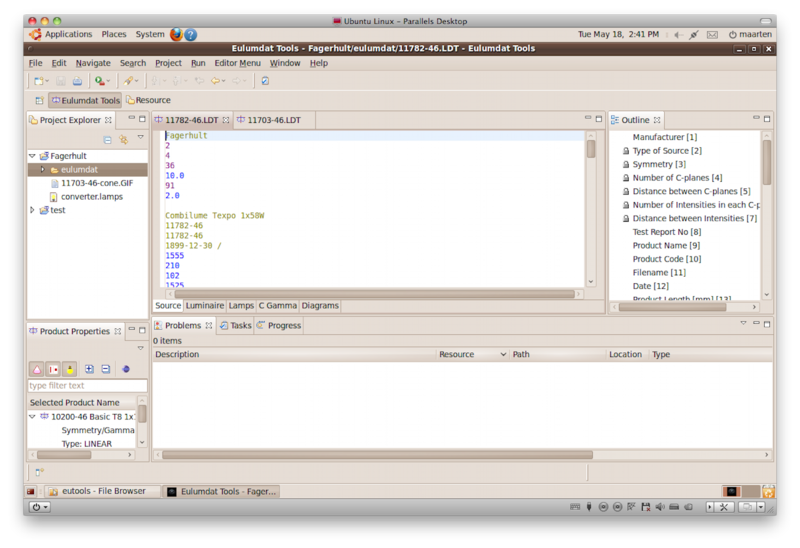 In addition to the commercial OS's I now also prepared a complete RCP application to run on Linux GTK, for example Ubuntu. This will widen the use of this application to more platforms. Photometric graphs are not yet shown on screen, but can be exported to file. The IES import wizard was redesigned and can now select from one project and export to another. 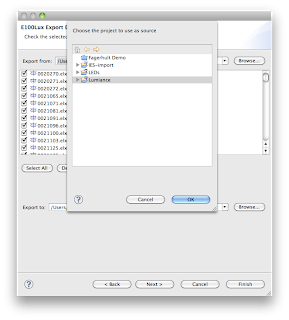 The E100lux Table wizard was also redesigned and can now select from a project and export to anywhere in the file system. 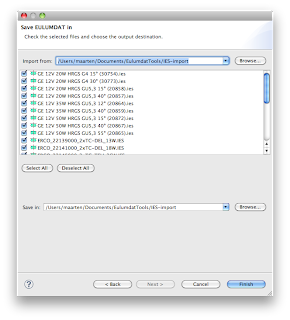 Select the folder or project to use as source.